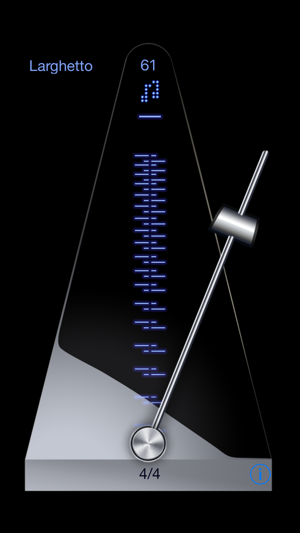 "Metronome - reloaded" produces an electronic steady tempo in the performance of music. It is useful for all musicians for practicing and playing a musical instrument. 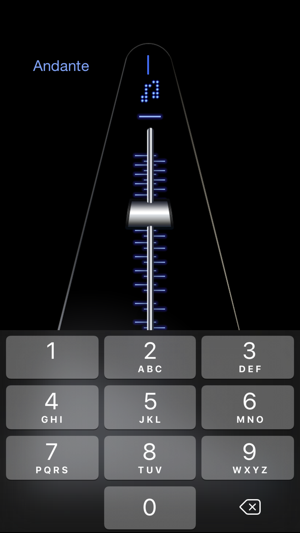 "Metronome touch" is our professional metronome - available on the App Store! Check it out. In spite of one small glitch I gave this 5 stars instead of 4 because of the great customer service. The only problem is that the very important blue “i” (Info) icon that you must touch to set the time signature and beats per measure has such low contrast that I didn’t see it. When I wrote to the company they replied within 30 minutes and solved my problem. 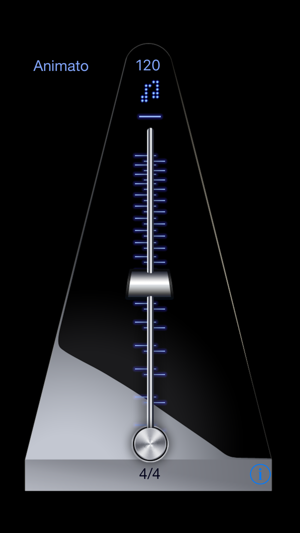 (The info icon is located on the lower right of the metronome base. Notice that in the iTunes image you can’t even see it.) This is also one of the few metronome apps that allow you to have no beat accented as an option. I’m a professional musician. 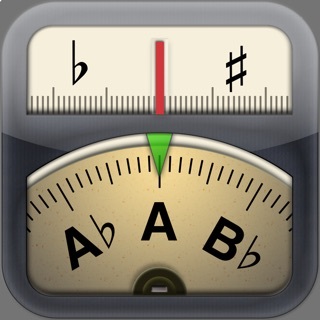 All I need is the old Seth Thomas-style metronome, nothing else, and this app gives me that. It’s louder than the old, battery-operated hand-held models, and it’s always with me. My only comment is that it can be a little hard to get the weight to remain on the speed I’ve chosen when I lift my finger off of the touch screen.